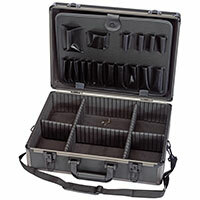 If you need a sturdy place to keep your tools, consider our range of tool cases in the collection below. From brands such as Draper, take a look at the options available below. 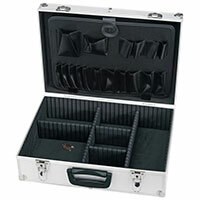 Available in a range of styles, you can choose the tool case that best reflects the tools you need to keep in it. 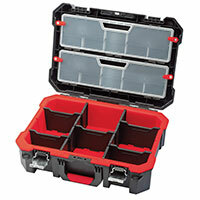 Choose the compartment sizes, shape and depth you need, and keep your valuable tools safe and sound. The range includes options with padding, separate containers within the case, shallow storage within the lid and deeper storage in the body of the case, perfect for keeping loose, small items together and away from bigger tools, preventing scratching or marking from occurring. There are a variety of prices to choose from too, so you can choose the tool case that best reflects your budget, whether you’re in need of a case for transporting tools when you’re on a job, or somewhere to keep them tidy in your garage at home. Make use of our free UK delivery and have your tool case delivered directly to your door, or opt for click and collect and pick it up from your local Euro Car Parts branch.